Dennis J. Wells, DDS, founder of the Nashville Center for Aesthetic Dentistry, is a graduate of Harding University and the University of Tennessee Dental School. He received his accreditation with the American Academy of Cosmetic Dentistry (AACD) in 1994, and has since served as an examiner for the AACD accreditation process. 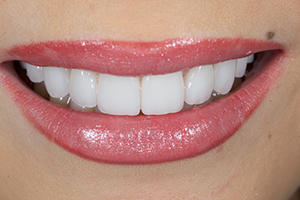 Prepless veneers continue to be a hot topic and consumer demand also continues to be high for this ultra-conservative procedure. In this two-part presentation, Dr. Dennis Wells will demonstrate proven techniques and protocols completing a case from diagnosis all the way to final cementation. With over 10 years experience in the area of prepless veneers, Dr. Wells shares his clinical pearls along with his excitement and passion for additive only restorations. This is a two-part video. Note: No commerical support for this course was received. The speaker does not receive commercial support. 1. Understand the essential diagnostic tools and records needed to execute a prepless veneer case. 2. Learn how to create Custom Composite Prototypes that will become the ultimate “blueprint” for the ceramist. 3. List the steps in the cementation technique that will insure long term success. 4. Understand how to preform the intra-oral finishing and polishing protocol for the “Infinity Margin”, and why it is an excellent marginal strategy both optically and functionally. Dr. Wells demonstrates the technique for the master impression. Dr. Wells demonstrates the technique for finishing the prototypes.